When it comes to making memories with the family, there’s nothing like an incredible group vacation. Though there are countless great places that you can visit across the UK, Bournemouth has a unique selection of activities to enjoy and views to explore that ultimately make it one of the most appealing destinations for any family – no matter the age range. As the jewel of the South Coast in Britain, Bournemouth is a colourful and vibrant resort location, brimming with panoramic views of the coastline, miles of sandy beaches, and more. There’s also a cultural town centre that’s packed full of hundreds of restaurants and shopping locations to explore if you get bored. No matter what your family loves, there’s something for everyone at Bournemouth. The Oceanarium: It’s tough to plan a family trip to Bournemouth without visiting the Oceanarium. Brimming with some of the most incredible interactive displays on sea life that you’ll ever see, this is an unforgettable experience for people of all ages. Adventure Wonderland: If you want to be your child’s best friend for a couple of months, then take them to Adventure Wonderland. 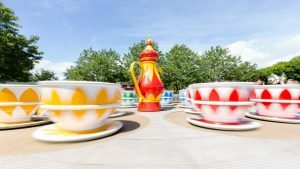 With more than 30 different rides and attractions to explore for kids aged 3 to 11, there’s plenty to keep the family entertained for hours at a time! Go Ape: Head out to Moors Valley and allow your kids to be the little monkeys they truly are. Go Ape is a high-octane family adventure with 1,000 metres of high ropes that allow you to swing and climb your way through the beauty of nature. 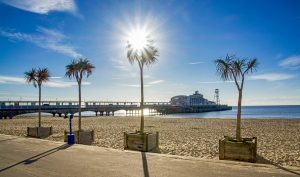 If you’re looking for a family destination brimming with excitement, fun, and memories to be made, then Bournemouth is the ideal place to visit.